越南胡志明市. 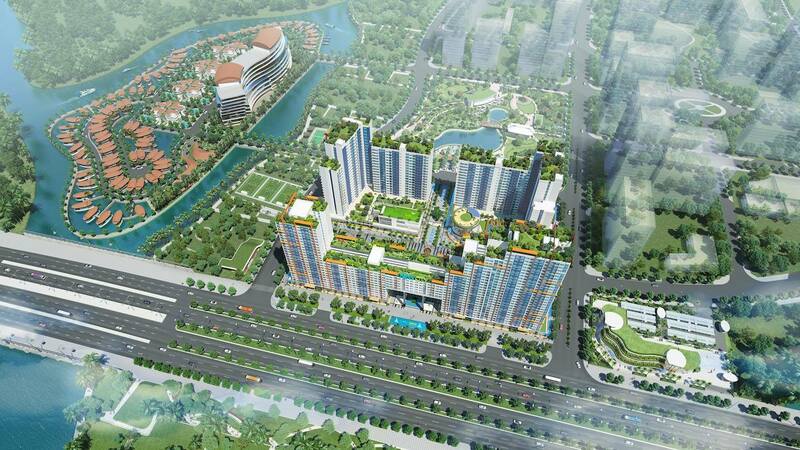 New City @District 2, HCMC Vietnam - Within the Thu Thiem New Urban Area, 5 minutes to existing CBD. Price from S$170K. High Specification. Choices of Park/ Saigon River. New City, (Ho Chi Minh City Vietnam) located on Mai Chi Tho street, An Phu Ward, District 2, Ho Chi Minh city. That is the reason New City has a convenient intercity transportation, right at the heart of the arterial routes: connecting Thu Thiem tunnel on District 1, Long Thanh – Dau giay expressway, Thu Thiem 1 bridge connecting Binh Thanh, Thu Thiem 2 bridge connecting District 1, Thu Thiem 3, 4 bridge connecting District 7. New City offers 4 blocks, 25 – 28 floors with a total 1500 apartments. It has convenient position, Mai Chi Tho street, Thu Thiem, District 2, only 5 minutes to district 1. Established since 1999 as one of the most reputable Construction Contractor in Vietnam. ThuậnViệt, won the award for Outstanding Developer in the Luxury and Mid-level Apartments category2017.